We begin at a nice ending. 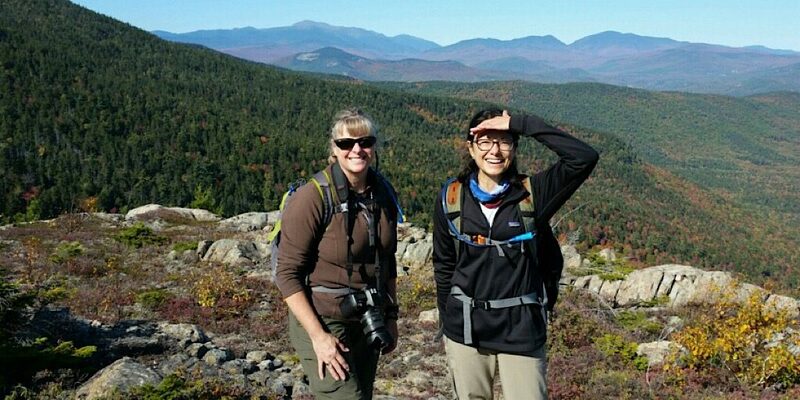 We were given a request to fulfill that was both very unique and very cool: arrange and guide an “inn to inn” hike for a leaf-peeping pair of lifelong friends. 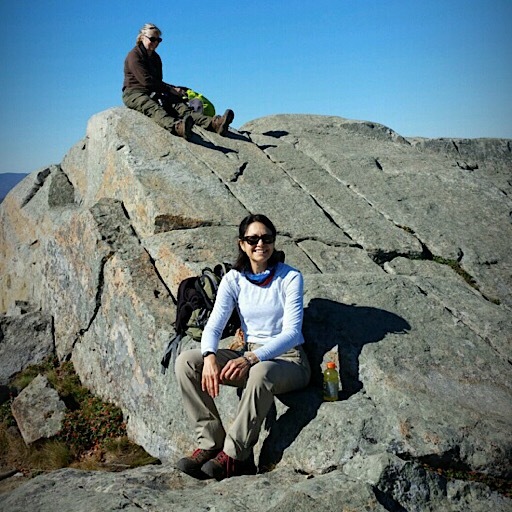 Meaning, in other words, to hike from inn, to inn, to inn making a route through the White Mountains over a five day period. Simple enough, right? Well, not really. Barring great mileages and roadwalks, while not utilizing the AMC’s Hut system or any of the tentsites, is tougher than one may think. Regardless, we were able to formulate a plan. Going inn to inn, precisely wasn’t possible. But we were able to end most days at a place to stay whether it be an inn, hotel, motel, or B&B. What a fun idea. In our original plan we intended to utlilize the White Mountains Hotel, Buttonwood Inn on Mt Surpirse, Eagle Mountain House, Joe Dodge Lodge, Notchland, and the Highland Center. This ended up changing, however. The problem was our guests, Althea (from New Hampshire) and Sylvia (from Maryland), came up with this excellent idea just a few weeks prior to the tour. Trying to secure rooms at this time of year during peak leaf season on specific days is a challenge. Too much so this time. The hike we planned stayed almost the same minus a couple of substitutions, but the idea of ending each day at a comfy inn would be limited to just two of the days (Notchland and the Highland Center). Plans are plans, as this is being written it is a tour in progress. So far the hiking part is right on track. What the coming days bring will remains to be seen. What we can share right now are photos from day one. 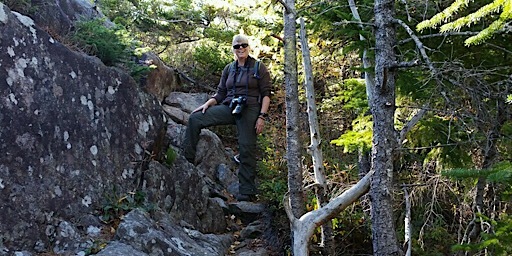 A tour of South and Middle Moat, Red Ridge, and Whitehorse Ledge. The White Mountains Hotel didn’t have space, but that was where they were supposed to end up. As is, we still spotted a car there. Our guests would end up at the Eagle Mountain House for the first three nights. 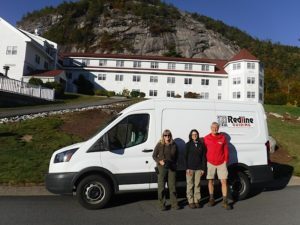 After spotting a car at the hotel Redline Guide Jeffrey Shutak, whom we put on lead for this, drove our guests to the south end of the Moat Mountain Trail. South Moat Mountain at 2770-feet would be the first to fall. The Moat Mountains provide breathtaking views in all directions. Taking on the first of many. We have seen them brighter, more vibrant, it’s true, but nonetheless our foliage is amazing. Honestly, it’s no wonder the various Mountain Washington Valley lodgings fill up so quickly at this time of year. 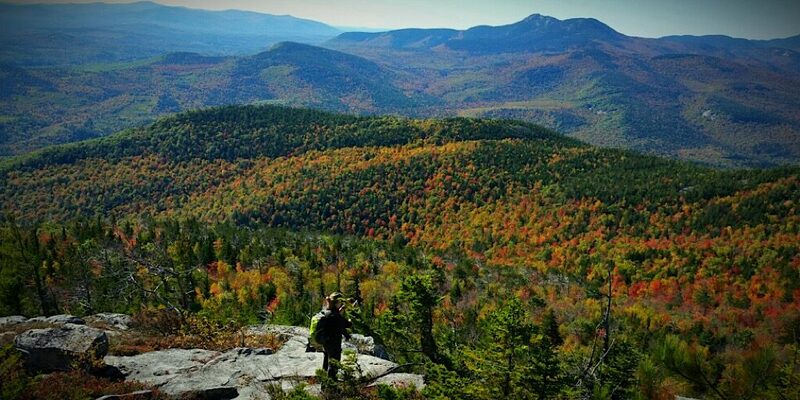 People love the foliage up here… and we do, too. Our guests taking a break on the South Moat summit. Jaw-dropping scenery. 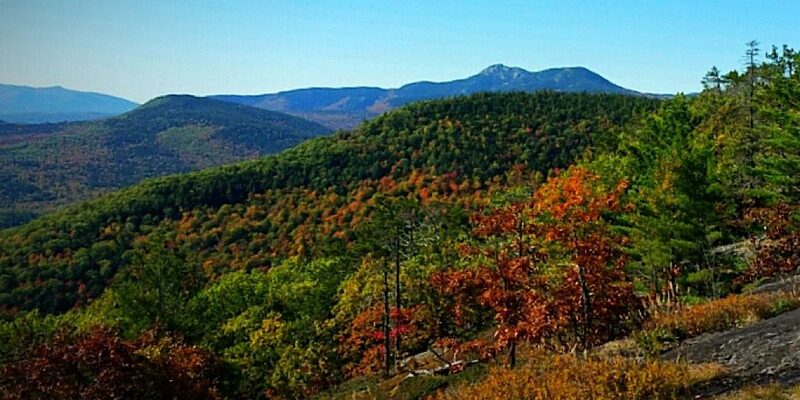 Autum is certainly a spectacle here in the White Mountains. It can’t possibly get better than this.